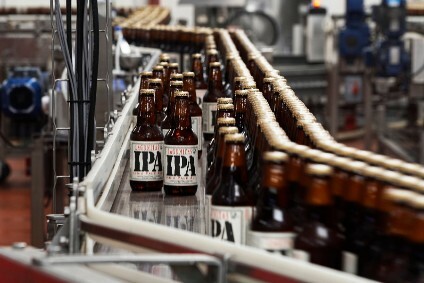 Having already run his eye over an Anheuser-Busch InBev move for SABMiller, our beer commentator, Larry Nelson, runs through what alternatives the world's biggest brewer may consider to spend its money on. Welcome back, then, to a landscape that continues to feature both Anheuser-Busch InBev and SABMiller as competitors and market leaders in the global brewing industry. Plural is not yet singular. And, over the past few weeks, there’s been a notable lessening of media angst over an imminent bid by A-B InBev for its closest rival. 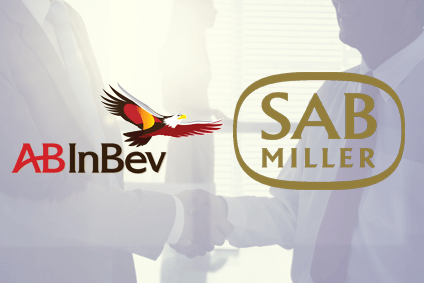 My last column looked at reasons why an A-B InBev bid might be unsuccessful and, even if it was capable of acquiring SABMiller, the reasons why such a bid might ultimately prove to be fruitless. This second point was given slightly short shift. Beyond being able to extract less-than-expected synergistic savings, add to this list the complexity of running an enlarged global brewing company and an overlapping duplication of international brand portfolios. What, then, are the alternatives? For a fanciful moment, let’s consider professional sports. Given the recent amount of money - US$2bn - forked out for the Los Angeles Clippers of the National Basketball Association, A-B InBev could acquire the team and the remaining 29 franchises for the estimated price tag of SABMiller. Some, the marquee franchises, the Lakers, Celtics and Knicks, will cost considerably more; some such as the Pacers, Pelicans and whatever Charlotte calls its team these days, considerably less. Broadly speaking, you could acquire the lot for less than $70bn. For that sort of money, you get a (largely American-centric) global property that you could expand to include European and Asian divisions or establish separate leagues, maximise television revenues and all the while exploiting cross-promotional opportunities with A-B InBev’s beer brands. Hey, there’s a much greater return available here than from integrating SABMiller. This isn’t going to happen, alas. But, the best ideas are frequently distilled from the blue sky outlandishness of such starting points. The thing here is that there’s more than reasonable potential for something completely unanticipated by industry observers to become A-B InBev’s next strategic move. 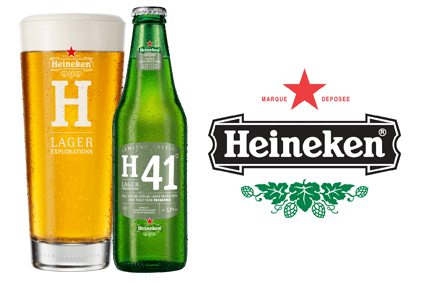 The company may the world’s leading brewer as measured by volumes but, with Anheuser-Busch, Modelo and AmBev success stories in the New World, the company is underweight as measured by both volume and profitability in Europe and Asia. It's also absolutely nowhere in Africa. It’s the absence of an African presence that makes some sort of arrangement with Diageo enticing. The largely spirits-focused group's global brewing footprint is liveliest in Africa, specifically around East Africa and in Nigeria and Ghana. Diageo’s beer-related revenues are in the region of $2bn annually, of which approximately half is derived from its Guinness brand. So, there’s a two-fold prize in acquiring the group’s beer assets – exposure to high-growth African economies and an opportunity to make Guinness a truly global brand. The question is, what would entice Diageo to finally loosen the hold on its pint? As things stand, beer and brewing is a lot more of a ‘core’ activity than, say, its previously-divested fast food assets. It also shelters the company from the occasional financial vagaries of spirits production. The alternative would be, as with the partnership of Carlsberg and Heineken dismembering Scottish & Newcastle, launching a joint bid with a company interested in acquiring Diageo’s wine and spirits businesses. There is no obvious bidder to partner with, however, at least within the known world of drinks producers. For the world's brewers, Asian markets remain largely a story of growth today and – maybe, just maybe in China – profitability tomorrow. There are opportunities in South-East Asia. One of the big prizes is Sabeco, Vietnam’s government-controlled market leader with annual beer volumes of around 12m hectolitres. Vietnam is one of a handful of markets worldwide that is in long-term double-digit growth, yet one absent an A-B InBev presence. Outright control would be unlikely but a minority stake, akin to Carlsberg’s interest in Habeco, could lead to bigger outcomes in the not too distant future. A-B InBev also has a minimal presence in India, lagging behind United Breweries/Heineken, SABMiller and Carlsberg. Yet, the country’s beer volumes, as measured on a per capita basis, remain minuscule, leaving scope for new entrants. Investment continues with the hope that changes in beer duty structures and inter-state tariff barriers will act as accelerants for already-promising growth trends. There are a handful of domestic Indian brewers that would be worth looking at, but A-B InBev would be better served going down the route that Carlsberg is pursuing, acquiring greenfield sites and building up a presence on a state-by-state basis, regionally at first, then potentially nationally. Often left out of global M&A speculation are Japan’s brewers, especially market leaders Asahi and Kirin. The former has less international exposure than the latter and whether a company competing primarily in a declining Japanese beer market is an attractive acquisition is questionable. But, both have experience of creating drinks in the Happoshu and New Genre categories, drinks that have moved away from malt-based starting points, which might find favour beyond Japanese consumers. In short, it’s the R&D efforts here that are of interest. Kirin has assets in Australia and New Zealand with its ownership of Lion, a 48% stake in San Miguel in the Philippines and latterly outright control of what was Schincariol in Brazil. It’s this last shareholding that probably scuttles a deal. What is known today as Brazil Kirin probably could be divested, and Brazil’s privately-owned Grupo Petropolis would be a likely bidder. But, whether you’d want to balance gains in Japan and Oceania against creating a stronger number two player in Brazil is a questionable outcome. What’s often overlooked in the reporting of multinational brewers is the volume of soft drinks they produce, with their annual totals running into the tens of millions of hectolitres. 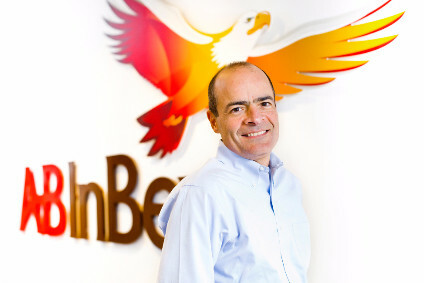 A-B InBev is no exception, with substantial partnerships with PepsiCo in Argentina and Brazil. True, there are production and logistic synergies with beer and CSDs, but bidding for PepsiCo would seem beyond A-B InBev’s financial grasp. Pepsi’s market capitalisation is currently in excess of $142bn, more than twice that of SABMiller. But, the logic is sound. Rather than convert drinkers of other beverages to beer on occasion, why not simplify the equation and start acquiring assets amongst energy drinks and mineral water producers? Ideally, a company with a brand with awareness well in excess of actual volumes. An attractive possibility here, to my thinking, is Austria-headquartered, privately-held Red Bull. We’ve just touched on a few of the possibilities to which A-B InBev could dedicate cash and management time. Truth will almost certainly be stranger than the suggestions posited here. But – taking a deep breath here – I don’t think A-B InBev should, or will, bid for SABMiller. In a universe filled with limitless possibilities, hopefully it’s been demonstrated here that there are better options for the world’s largest brewer.